Your tech startup is finally large enough to start hiring employees. While growing and expanding your company is exciting, the process can be daunting as you not only want to hire tech people, you want to hire TOP talent. You also want to be careful with how you hire in the beginning so you don’t suffer from bad decisions later on. We have listed five hiring challenges that tech startups can experience. The recruiting pains are definitely there, but thankfully there are also solutions or strategies that can help. Startup growth is desired, but growing too fast can quickly deplete resources and ultimately cause failure if your company does not have a strong infrastructure and can’t sustain growth. Another problem with hiring too quickly is taking in the wrong people and not investing the time to sift through more qualified or passionate employees. Not knowing how many people to hire, the right time to hire, and which team should be helping with the process are other problems. r current staff get overwhelmed with workload, but commit to training new employees to get them adjusted – in other words, don’t rush the hiring process. If you are a relatively unknown company, it can be difficult to attract seasoned tech talent. One solution for this is having an excellent company culture. Culture begins the moment you put together a team so be sure that you have a company culture that is positive and open and also one that current employees will share on platforms such as Glassdoor. You should also make your company discoverable, not necessarily on a job site but through utilizing platforms such as Instagram and LinkedIn and promoting engagement with potential employees. If you are hiring talent from more traditional companies, they might not be familiar with the structure and hectic work day of a startup, as well as intensive hours. This is the traditional way startups succeed – everyone pitching in long days, nights, and sometimes weekends for the first several years – and new hires should have an entrepreneurial mindset. When hiring, you should specify this to avoid employee frustration later on and also regularly communicate company progress. Some tech startups are taking a different approach, however, to a better work/life balance. They are offering more intensive, but more productive four day work weeks. Fridays are for leisure and personal time. This approach is proving to be effective – employers find that their employees are more dedicated at work because they are able to pursue other interests on their down time. How do you find passionate employees? For starters, according to suggestions by Business News Daily, ask certain questions in the interview. What are his/her hobbies and interests? What are his/her professional growth goals? Does he or she desire a balanced work life schedule? Is your business something that excites this person? See if their answers align with your culture and definitely gauge enthusiasm as passionate people get excited about things that make them happy. Also, once these people are hired, be sure to keep investing in them (again, promote a positive company culture and reward strong job performance) so that they stay passionate and satisfied within the company. It’s true, startups normally cannot offer as competitive salaries as more established companies. Although sometimes a startup will pay a higher salary for a new hire in order not to lose them to another company, this practice is not advised as it can lead to unrealistic expectations for the new hire, as well as discontent among other employees and hurt company financials. Never underestimate the value of non-cash compensation – for example, equity isn’t an alternative to cash, but it is an important component of a well-rounded compensation strategy. Flexible schedules, paid time off, reward programs, etc. can also be strong incentives. Also, allowing employees creative liberty with projects can help with employee satisfaction and retention. 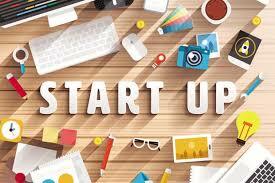 For more information on the issue of hires for tech startups contact us at Cytex Ventures.